Washington Post Carla Marina Marchese took up beekeeping in 2000, eventually moving to Italy for advanced certification. She was the first American accepted into the Italian National Register of Experts in the Sensory Analysis of Honey. My training as a honey sommelier at the American Honey Tasting Society culminates with eight wineglasses filled with various honeys, lined up from light to dark. My instructor, Carla Marina Marchese, tells me that when we taste honey, we don't do the ceremonial swirl – the wine expert's ritual – before we sniff. Honey sommeliers smear. “Smear it on the sides of the glass like this,” she says, using a tiny plastic spoon. Once the honey is smeared, I can stick my nose in the glass to properly evaluate the aroma, then spoon a dollop onto my tongue. Marchese is leading me through an abbreviated version of her $595, four-day honey sensory certification course. To be clear, this is a seminar specifically in tasting – not in beekeeping or honeymaking. The American Honey Tasting Society exists upstairs from Marchese's Red Bee honey shop, in a beautiful, rustic barn in Weston, Connecticut, heated on this day by a wood-fired stove. We've already covered the Honey Connoisseur Aroma and Tasting Wheel, the Honey Connoisseur Color Guide and the basics of sensory analysis. The preparatory advice is pretty much the same dogma as for wine: Don't drink coffee. Don't brush your teeth. Don't use hand lotion. Don't wear perfume or cologne. She worked for a time at a wine distributor and began going to honey festivals, particularly in Italy, where honey is a much bigger deal. She also began taking honey courses and eventually moved to the Italian beekeeping institute in Bologna for advanced certification. Four years ago, she became a member of the Italian National Register of Experts in the Sensory Analysis of Honey – the first American to be accepted. Expert in the sensory analysis of honey? “For lack of a better word, it's a honey sommelier,” she explains. “Of course, right now in the U.S. there are no jobs as a honey sommelier.” Therefore, she had to create her own. Perhaps you are someone who thinks honey is just honey. Or tea is just tea. Or olive oil is just olive oil. Or water is just water. Or a cigar is just a cigar. Or mustard is just mustard. If so, you're likely skeptical of a honey sommelier, a tea sommelier, an olive oil sommelier, a water sommelier, a cigar sommelier or a mustard sommelier. But over several years, there's been a creeping wine-ification in every realm of gourmet endeavor. Now, in our era of hyper-credentialism, there's almost no sphere of connoisseurship without a knowledgeable, certified taste expert, someone who's completed serious coursework and passed an exam. A two-day tea sommelier certification course (followed by eight weeks of home study) from the International Tea Masters Association costs $1,475. A six-day olive oil sommelier certification program at the International Culinary Center in New York costs $2,800. A nine-day water sommelier certification program at the Doemens Academy in Germany costs $2,600 (travel not included). These programs prepare you to be a taste authority, a sensory expert, an arbiter and evangelist in the field, but you're likely not producing anything. Even so, they're in demand. Most taste-expert programs are modeled, in some fashion, on the venerable wine sommelier certifications; none have deviated radically from these. The term “sommelier” technically means a “wine waiter” or “wine steward,” a restaurant position dating to 18th-century France. “My purist definition of a sommelier is someone who works in hospitality, who serves wine in a restaurant,” said David Wrigley, international development manager of the Wine & Spirit Education Trust, a London-based accreditation organization. I spoke with Wrigley last summer in Washington at an event called SommCon. There, the WSET presented its program to potential students alongside three rival organizations: the Society of Wine Educators, the Institute of Masters of Wine, and the Court of Master Sommeliers, the last being the subject of the popular documentary “Somm” and sequels. All of these programs offer a ladder of advancing levels, from introductory to master, increasing in price and commitment. WSET Level 1, for example, begins at just under $400 for six hours of course study, rising to Level 4, which takes up to 18 months and 600 hours of study to complete and costs more than $4,000 – and that cost can easily double as thousands more are spent on travel and acquiring bottles to taste. The WSET's enrollment in the United States grew by 24 percent in 2017-18. It now has more than 14,000 students, and worldwide there are more than 94,000. Wine education and the role of the sommelier are so mainstream that it's perhaps inevitable that other gourmet products would seek a similar patina of sophistication. He was sent to the factory in Dijon for six months of training and learned “everything there was to know about mustard.” As far as Lalousis is aware, he's the only mustard sommelier in the world. That is certainly true – and that's why “education” becomes a slippery term in the world of taste. The sommelier's job is to monetize the educated palate. In wine, that might mean persuading someone to upgrade from a bottle that's $30 on a list to one that's $50. The cheese sommelier might try to sell a customer on a more expensive artisan, aged Gouda rather than the basic Gouda in red wax. For the honey sommelier, it may be about persuading someone to upgrade their $4 honey in a 12-ounce plastic bear to a buckwheat honey that's $12 for four ounces. For the mustard sommelier, it's about explaining why you'd want to pay for real Dijon mustard and not the cheap imitations you find in the supermarket. Tobacconist University is run in a cigar shop called A Little Taste of Cuba in downtown Princeton, New Jersey. 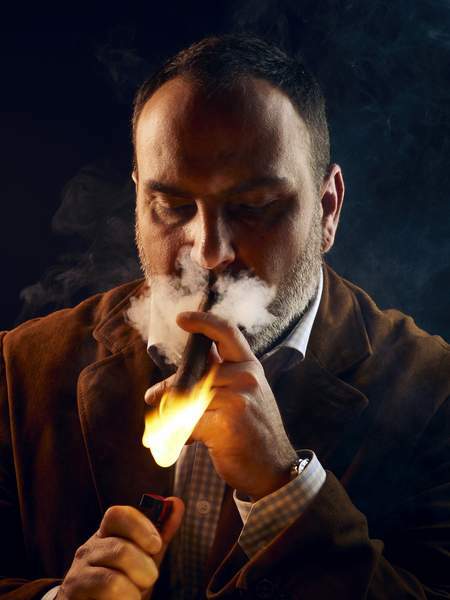 Jorge Luis Armenteros founded Tobacconist University in 1996, at the height of the 1990s cigar craze, originally as training for his shop staff. Soon, others in the industry wanted the same knowledge. Now, most of the coursework is online at a cost of $100 to $1,000, depending on experience. Tobacconist University has 450 Certified Retail Tobacconists, with 1,000 apprentices studying for the certification. At the top end of the program is Certified Master Tobacconist, which includes 100 hours of work in tobacco fields or cigar factories and an “academic contribution,” such as a paper or article. There are only 13 Certified Master Tobacconists. 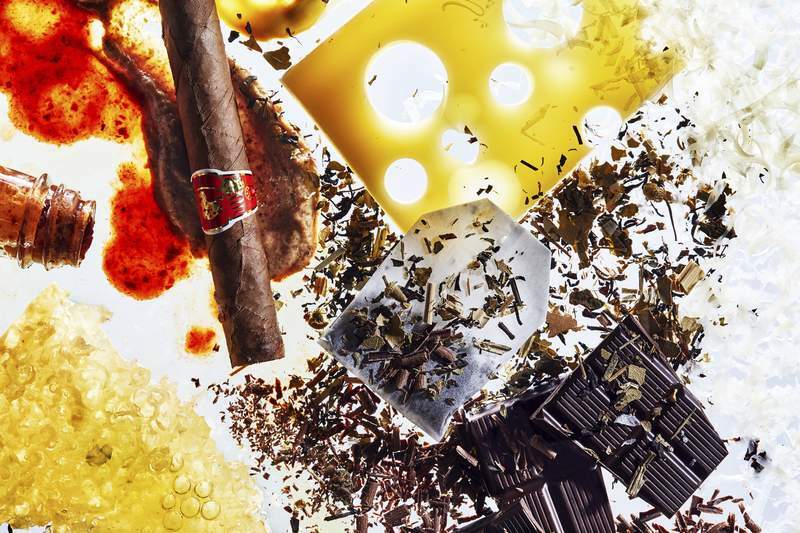 Because of this, the cigar consumer is quite different from those of other gourmet products. “The cigar smoker is a very independent-minded person,” he says. “ You need to have, let's say, some balls to smoke a cigar. This type of person has strong opinions. We work with a lot of strong characters in this business.” Armenteros believes an educated, certified expert helps add a level of sophistication.